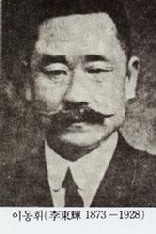 Dosan Ahn Chang Ho founded many organizations that took part in the social, political, and educational reform movements as well as in the anti-Japanese Independence Movement. The Sin Min Hoe - New Peoples Association (SMH-NPA), a secret underground organization, was founded by Dosan Ahn Chang Ho in Korea in 1907 when Dosan returned to Korea for the first time since he left in 1902. He established SMH-NPA with a long term vision of continuing it for the enlightenment movement and independence movement for national salvation. Members were admitted after passing difficult tests and strict procedures. Moreover, as the first condition joining the organization, everyone had to sign an oath that said, "If I was caught by an authority, I will sacrifice my life to protect the identity of this organization." Sincere patriotism was required as an admission qualification. The SMH-NPA included many important historical figures who appeared throughout the entire independence activities or until they died. The following photos below are some of the main SMH-NPA participants. The Korean National Association (KNA) was the most important organization for anti-Japanese activities of Korea. The headquarters were established in San Francisco in 1909. Some of the buildings the KNA used are still standing in the city. San Francisco has a huge amount of history in the fight to free Korea! 1910's in San Francisco. Korean Methodist Church 1053 Pacific Street - the first Korean Church in America started by Dosan. These are some of the people who gave half their pay to the Korea Independence Movement. One of Dosan's biggest dreams was the Hung Sa Dan also known as the Young Korean Academy. He created this organization with a group of Korean patriots and intellectuals who represented each of the eight provinces of Korea. This organization was officially launched on May 13, 1913 in the city of San Francisco. The headquarters moved to Los Angeles and then to Seoul. It still exists today with many branches in Korea and in major cities in the United States. The Hung Sa Dan was created to build young people of good mind, good spirit and good health. It was a plan to develop young people with good character. These people were to build a network of trust and sincerity in all they would do. The result of this program was to have quality people capable of becoming leaders of the Korean nation once it was freed from the Japanese occupation. This group was going to be the foundation for the new independent democratic nation of Korea. If you take a look at the Constitution of the Hung Sa Dan from 1957, it will give you an idea of how advanced the ideals of Dosan and the original members were. Remember this organization started over 84 years ago and this version of the Constitution is fifty years old. Young Korean Academy 3rd Annual Convention in Los Angeles at the Ahn House - 106 N. Figueroa Bunker Hill - on December 30, 1916. Hung Sa Dan Headquarters Los Angeles. Helen Lee Ahn is the woman in center front row.